So, a blogger friend (Cassie) put up a post on her blog yesterday and it ‘gingered’ me to do something similar. The post was titled ‘Tall Girl Problems!! Life as a 6ft 1 girl’. Check out the post HERE. So this is me lamenting and giving you an insight to what it’s like living as a short girl (all 5ft 2” of me). All my life I’ve been ‘small’ in size until I started putting on ‘old-age’ weight and then I became ‘fat and short’. At this point, everyone’s taller than I am. Even my 14 year old brother dwarfs me. 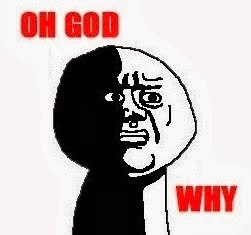 You know how awkward it seems when you see a couple and they are both ‘short’. Phewww! As a short girl, for the sake of your future off springs, you have to be really picky when it comes to the height of your future hubby. I once met this really cute dude (half German + half Nigerian=super cute, a pilot, very funny etc) but we couldn’t even think about being anything more than just friends. 1 * Heels are our best friends! I started wearing really high heels from my 2nd year in Secondary school (wedges a.k.a ‘akpoola’). I knew I wasn’t gonna be tall so I needed to ‘help’ myself. I cannot begin to count how many times my school sandals were seized cos they were not the required ones and obviously exceeded the accepted heel height. In the years following, I dared not leave the house without wearing heels and no matter how much my feet hurt, I had to keep them on. This is actually my biggest problem! I wear a Size 36 (UK size 3, US size 6) and it’s always a torture walking through stores without finding shoes that fit. They always say that the cutest shoes are in smaller sizes, yea, they actually meant the babies/kiddies section! One of my closest friends, Ezinne (Miss Nigeria 2013, and yea, I’ve got bragging rights!) is super tall (6ft 2”, I think). Put that next to my 5ft 2” and you’ve got a David and Goliath situation. We spent 5years in the University together and being course mates we walked around together a lot. You wouldn’t believe the nasty and mean comments peeps made about the height difference. And the pace at which these tall peeps walk! I have to practically run with my short legs to keep up. Who told you that I love seating or standing in front? Oh cos I’m short eh? I always have to ask someone tall or drag a chair to help me reach stuffs that are high up. In my next life (if there’s any such thing) Michael Jordan’s height won’t have anything on mine! 4 * I refuse to be intimidated! My tall friends actually use the mirror from behind me and see their face comfortably. 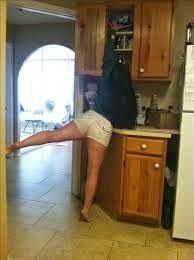 There are lil things they would do that would irk me just cos I’m short. * Talk about awkward hugs with tall people. Sowie, a handshake would suffice, Thank you! I always have clothes that need to be shortened. Even short jeans are still too long. Gaining one pound looks like 5! Nothing’s more annoying than knowing that you weigh the same as the skinny girls you know but they have nicer bodies since they are taller. I always have to watch what I eat. It took me a while to accept me the way I am and I’ve come to love myself , short and short. I was even surprised that tall girls encounter some sort of difficulty (I thought they automatically had some kinna super power). But this goes to show that all you need is self-love and nothing can stop you from being all that you want to be. Gurl! you got me in stitches. trust me you look really lovely. Portia dearie,sHare d same view as urs,short girls rocks! The most annoying part of being petite (I refuse to use the word "short") is the weght issue, 1 pound looks lik'e 10 pounds on petite girls. Its so annoying. All the same I love my cute 5'4. Lmaooo. You didn't dull me. Loool!! That first picture killed me! This hilarious. You had me in stitches. Thanks great way to start my day. Portia dont worry, ur not alone in this. I am also 5ft2. one of my friends even called me portable. can you imagine. but trust me i love the way i am. NnE! Ure not alone in d struggle look alike moi! Don't worry as we don old for pagentry how abt starting 1for 5fts? Looool!tooo true!especially d 'sit in front'part mschew! No 6 is my major problem!!! Haa. Nice post. Am also a 5"2! Chai!! It's really hard when you're that short. I have really tall friends. Though I'm kinda used to being called 'smallie'...You can Imagine! hahaha this is so cute...weirdly enuf though I wish I was shorter....like ur height, I just think its cute and stuff...bera rock it well. Looooooooooooooooooooolllllllll!!!! Portiaaaaaaa!!! I just remembered when both of us got same kinda high-heeled sandals back in high school and we'd always hide from Ethelbeth inorder not to have 'em seized. Well, I was eventually caught and had mine seized but I had a plan B... another HIGH HEELED SANDALS right at the bottom of my box! Lmho. This post is just a boxing day gift to me! I'm literally rolling with laughter @dis. 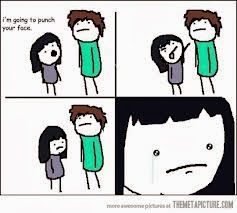 And I appreciate it the more cos it has made all our "short-girl problems" appear even more appealing... Kip it up love! Iam only 4'6". Its very difficult to face annoying comments from relatives as well as my few friends. Really fed up with short strature life. The main problem is to drive. I dont think that short girls are cute.